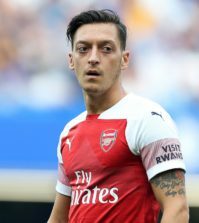 Mesut Ozil stole the show as he inspired Arsenal to come from behind to beat Leicester City 3-1 at the Emirates and make it 10 wins on the bounce. Leicester took a deserved lead in the first half thanks to a Hector Bellerin own goal but Arsenal levelled things up just before half-time as Ozil stroked home a lovely goal for 1-1. The German playmaker then took control of the game in the second half as he created two excellent team goals for Pierre-Emerick Aubameyang to seal a 3-1 win and send us to within two points of top spot. Leno 7.5/10 | Made a superb save to deny Maguire at 0-0 and was unfortunate for their goal. Good off his line too and distribution was solid. One flap at a corner almost cost us but otherwise an impressive night. Bellerín 7.5/10 | Was at fault for their goal as he was caught out and put through his own net but apart from that he was excellent. Grabbed two lovely assists and was a real threat going forwards. Holding 6/10 | Extremely fortunate not to give away a penalty [and be sent off] with a blatant handball in the first half. The result would have been very different had the referee not bottled it. Otherwise, he was sold again at the back. Mustafi 7/10 | Didn’t really put a foot wrong. Contained Vardy and didn’t have any brainless moments. Lichsteiner 5.5/10 | A weak link in the unfamiliar left-back position. Our attack was unbalanced with him on that flank and he struggled defensively at times too. Subbed in the second half. Torreira 7.5/10 | Another excellent shift. Snuffed out danger in front of the defence and kept things simple with the ball. Really impressive start to his career in north London. Xhaka 6/10 | Awful in the first half as he gave away needless free kicks and passing was sloppy. Improved after the break when we took over and did OK when shifted to left-back. Mkhitaryan 5.5/10 | Anonymous in the first half and wasted a couple of half-chances. Overshadowed by his team mates and was eventually subbed. Iwobi 8/10 | Another impressive outing from the rejuvenated Nigerian, especially in the second half. Showed off some lovely skill and ran the Leicester defence ragged at times. Great to see him hitting some form. Ozil 9/10 | Unplayable in the second half. Superb finish to make it 1-1 just before half time and played a stunning through ball to create the second goal. The best was yet to come as he made a sumptuous assist for Aubameyang’s second goal to cap off a sensational performance from the stand-in captain. 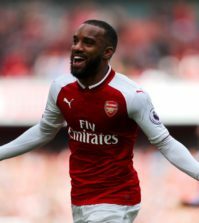 Lacazette 7/10 | Worked hard in the first half when we were under the cosh but just wasn’t his night in front of goal. Missed a tap in late on before blazing another good chance over. Played his part in the excellent third goal. Aubameyang 8/10 | Came off the bench to score another quick-fire double to seal the win. All-round play was great but his instinct to be in the right place in the box led to his brace. Such a lethal player. Guendouzi 6/10 | Steady performance in the middle of the park. 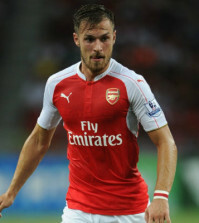 Ramsey N/A | On too late.